Situated in Wendlingen am Neckar, this hotel is within 12 mi (20 km) of Technical Academy Esslingen, Stuttgart Trade Fair, and University of Hohenheim. Kessler Sekt and Esslinger Burg are also within 12 mi (20 km). Wendlingen (Neckar) Station is only a 5-minute walk. Situated in Wendlingen am Neckar, this hotel is within 12 mi (20 km) of Technical Academy Esslingen, Stuttgart Trade Fair, and SI-Centrum Stuttgart. Palladium Theater and Stage Apollo Theater are also within 12 mi (20 km). Wendlingen (Neckar) Station is only a 4-minute walk. 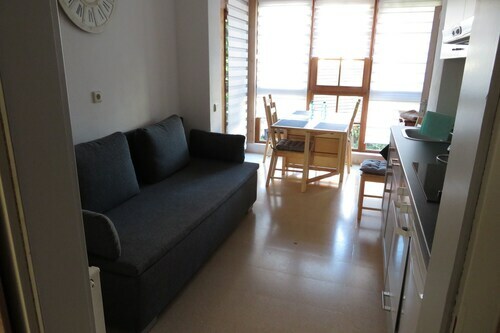 Situated in Wendlingen am Neckar, this apartment building is within 12 mi (20 km) of Technical Academy Esslingen, Stuttgart Trade Fair, and Kessler Sekt. Esslinger Burg and University of Hohenheim are also within 12 mi (20 km). Wendlingen (Neckar) Station is 22 minutes by foot. How Much is a Hotel Room in Wendlingen am Neckar? Hotels in Wendlingen am Neckar start at $88 per night. Prices and availability subject to change. Additional terms may apply. Are you arranging to organize some time in Hohenlohe? Hoping to arrange a place to stay in or around Wendlingen am Neckar? 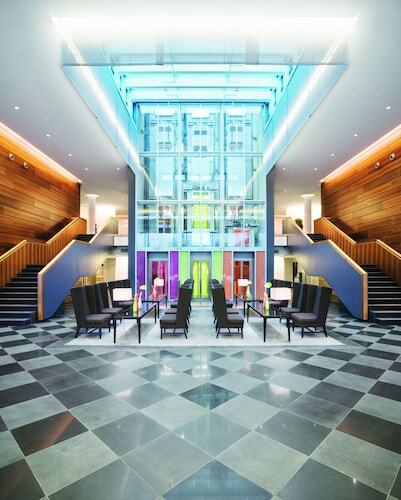 You will find 8 hotels within easy driving distance of the city center. Look through a few Travelocity rooms to be located within a 6 miles (10 kilometers) distance, such as the Best Western Premier Hotel Park Consul Stuttgart/Esslingen and Hotel am Schillerpark. You could also check out the Althoff Hotel am Schlossgarten and the Steigenberger Graf Zeppelin. The Althoff Hotel am Schlossgarten is situated 12 miles (20 kilometers) from the main part of Wendlingen am Neckar. The Steigenberger Graf Zeppelin, is just 12 miles (20 kilometers) away. 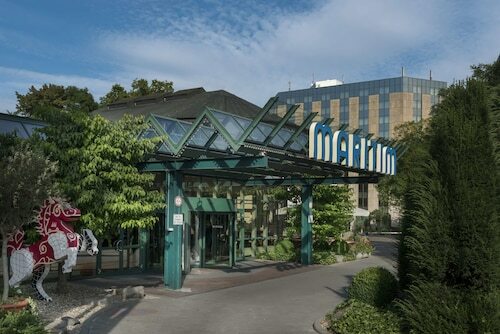 Alternative hotel options include the Le Méridien Stuttgart and the Maritim Hotel Stuttgart. The greater Baden-Wuerttemberg area is worth seeing as well. Baden-Wuerttemberg has rivers, streams, lakes and mountains, and other commonly visited tourist sites are castles. Daring visitors might get involved in snowboarding in this part of Germany. Looking for more activities? Spend some time checking out Bad Mergenthaim Square and Muenster St. Johannes Baptist, in Bad Mergentheim, 55 miles (92 kilometers) to the north of Wendlingen am Neckar. Some Bad Mergentheim rooms include the Best Western Premier Parkhotel Bad Mergentheim and Hotel Central Vital. 35 miles (56 kilometers) northeast of Wendlingen am Neckar, you will find Schwabisch Hall, which is home to the Hotel Gasthof Goldener Adler and Hotel Sonneck. While in Schwabisch Hall, set aside a little time to check out the Schwabish Hall Cathedral and Unterwoehrd Park. If watching stadium sport is what you love, put aside some time for a trip to Mercedes-Benz Arena, which is 11 miles (18 kilometers) to the northwest of Wendlingen am Neckar. Enlightened travelers who like the idea of booking a hotel not far away, book in the Waldhotel Stuttgart or Best Western Plus Hotel Fellbach-Stuttgart. For modern travelers traveling via Stuttgart Airport, you might like to book Travelocity-listed rooms at Movenpick Hotel Stuttgart Airport & Messe, or DORMERO Hotel Stuttgart, which are each a short distance away.